A January 2019 scientific review 1 by Dr Neal Barnard 2 and his team, entitled “Plant-Based Diets for Cardiovascular Safety and Performance in Endurance Sports“, looked at whether endurance athletes, who are at a higher-than-average risk of developing atherosclerosis and myocardial damage, have reduced health risks and improved performance if they eat a plant-based diet. The results are pretty compelling and should be considered by anyone within any age group who engages in regular physical exercise, not just those who undertake endurance sports. But is it the diet? Atherosclerosis – exception or norm? How can being plant-based help? It’s well-accepted 3 that diet in general plays a significant role in maintaining the health and improving the performance of athletes. 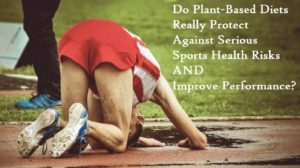 In previous blogs, we looked in some detail at how plant-based diets may improve sports performance and reduce injury 4 5 6 , as well as how options such as the paleo diet 7 and consuming whey products 8 appear to do quite the opposite. Interestingly, and in relation to cancer risk, some research even showed 9 that the blood of a ‘couch potato’ eating a healthier than standard diet is likely to have better cancer-fighting abilities than the blood of someone who exercises regularly and strenuously but eats the standard diet – thus suggesting that diet may play a more significant role in overall health than exercise. The study covered below deals in more depth with how choosing a plant-based diet can improve athletic performance as well as help avoid, and even reverse, serious and long-term health risks that both athletes and non athletes face. Individually, or in combination, it’s suggested that the above benefits, which may result from plant-based dietary regimes, both protect the health of the athlete and improve athletic performance. The latter are discussed in more detail below. But surely, you’d think, athletes are more or less immune to developing atherosclerosis 15 because of all the exercise they do. However, this has been shown 16 not to be the case. It may seem odd, but it’s been shown in several studies 17 18 19 20 that endurance athletes may have more advanced atherosclerosis and more myocardial damage than sedentary individuals, increasing as periods of sports endurance accumulate and as they age. Even sudden sports-related sudden cardiac deaths among ostensibly ultra fit athletes have been shown 21 to be more common than you’d think, especially with increased age. This study considers that when consumption of animal products is increased, perhaps with the hope of supplying increased energy for increased athletic activity, the associated saturated fat and cholesterol (as well as the relative absence of antioxidants and fibre 22 ) may contribute to the atherosclerotic changes. Atherosclerosis may also narrow arteries in the legs, brain, and other parts of the body which will reduce blood flow and potentially impair performance. This has certainly been shown 23 to be the case with diagnosed peripheral artery disease, and is considered as a factor for athletes with undiagnosed (i.e. subclinical) atherosclerotic disease. So it would appear that diet is key to protecting heart health and thus for enhancing athletic performance. And while one may think that atherosclerotic disease is the exception rather than the rule, studies have shown 25 that in the modern Western world [with its modern Western diet] atherosclerosis can begin early in life, even in the womb. A study 26 showed that the majority of American children have fatty streaks in the left anterior descending coronary artery by the age of 10 to 14 years. Autopsies of U.S. soldiers with a mean age of 20.5 years who died in the Korean War showed that 6.4% of them had coronary atherosclerosis 27 . Autopsies of soldiers with a mean age of 25.9 years who died in the Iraqi wars between 2001 and 2011 showed that 8.5% of them had coronary atherosclerosis 28 . So, if you’re from a country where the Western diet is the norm (and, of course, you’ve also eaten that diet), you’re very likely predisposed to such risks even before you run your first marathon. Diets rich in saturated fat and, to a lesser degree, dietary cholesterol promote dyslipidemia, and dyslipidemia is a major contributor to arterial disease. With dairy products and meat being the leading sources of saturated fat, removing these has predictably been shown 30 to improve plasma lipid profiles. By including soluble fibre (e.g. oats, beans, barley), almonds, soy protein, and sterol-containing margarines [the latter being something no WFPB advocate would advocate! ], it’s been shown 31 that low-density lipoprotein (LDL – the ‘bad’ cholesterol) can be reduced by around 30% in as little as 4 weeks. It’s also important to point out that trans fats have detrimental effects on plasma lipids and, thus, increase cardiovascular risks 32 33 . Blood viscosity is a key element in oxygen delivery to the muscles 34 – lowering viscosity improves both blood flow and athletic performance, increasing viscosity does the opposite 35 . During athletic activity, fluid passing from the bloodstream into the tissues leads to haemoconcentration 36 . This gradual rise in blood viscosity results in progressive loss of tissue oxygenation which, of course in turn, degrades athletic performance 37 . Diet affects this plasma viscosity. Because plants are typically low in saturated fat and have no cholesterol, plant-based diets are considered 30 38 to reduce plasma lipid concentrations, and hence reduce viscosity. Reduced blood viscosity also improves tissue oxygenation, thereby potentially improving athletic performance. In one study 39 , brachial artery flow-mediated vasodilation 40 was assessed in a range of diets – low-fat vegetarian, low-carb/high-fat (Atkins), and high-fat (South Beach). The results were that the vegetarian diet improved brachial artery flow-mediated vasodilation compared with the other diets. Basically, the higher the saturated fat intake, the greater the impairment of flow-mediated vasodilation, with arterial compliance being impaired even by a single high-fat meal. This impairment is not only caused through eating food high in animal fats, added oils appear 41 42 43 44 to have similar effects. The latter studies suggest that animal fats as well as meals made with added oils are harmful for arterial flexibility; on the other hand, they make it clear that there is benefit from consuming meals made from vegetables, grains, legumes, and fruits. The food choices athletes make affect blood viscosity, arterial diameter, arterial compliance and arterial elasticity. All the latter factors can be expected to affect tissue oxygenation, endurance, and performance. Plant-based diets are known to boost insulin sensitivity 45 which, as we’ve seen 46 , is important for reducing the risk of type 2 diabetes and improving glycaemic control – a major contributor to atherosclerosis in individuals with diabetes. Indeed, even small amounts of animal food (such as just one cup of non-fat milk) are sufficient to reduce arterial diameter and can thus lead to major changes in blood flow. 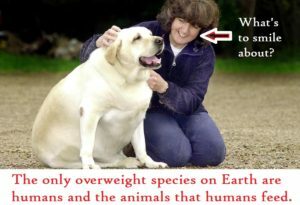 The risk of developing cardiovascular disease is, naturally, increased by becoming obese. Even when you ditch calorie-counting or portion-control altogether, vegetarian, and especially vegan, diets have been shown 47 to reduce body fat and thereby tackle obesity. It’s known 59 that individuals who start plant-based diets typically increase intake of healthy carbohydrates (the primary energy source during moderate/high-intensity aerobic exercise) and it’s been shown 60 that endurance is enhanced by high-carbohydrate intake, not just immediately before athletic events, but also over the long term. When you exercise, your muscle tissue gets ‘damaged’ and produces reactive oxygen species (free radicals), partly as a result of the normal function of mitochondria and other intracellular organelles 63 64 . When your body is overwhelmed by these free radicals, and it can no longer neutralise them, the result is called oxidative stress. This oxidative stress, in turn, boosts antioxidant defences and immune responses 65 66 . The above are all thought to decrease post-exercise inflammation and facilitate recovery. It used to be thought that osteoarthritis was attributable to simple “wear and tear”; however, it’s now known 82 that there’s an important inflammatory component which is aggravated by diabetes and by being overweight. And it’s not just osteoarthritis that’s affected by diet – psoriatic arthritis 83 and many other similar conditions are also now known to be manifestations of inflammatory processes. In one major ongoing study 84 , people who ate meat even once a week had higher levels of both degenerative arthritis and soft tissue disorders than individuals who avoided meat altogether. A number of studies 85 86 87 88 89 on people suffering from rheumatoid arthritis have shown that changing to vegan and vegetarian diets can reduce C-reactive protein, as well as both subjective and objective signs of arthritis. Whilst vegan diets, in particular, have been shown 90 91 92 to have anti-inflammatory effects by reducing C-reactive protein in patients with and without coronary artery disease. Another fallacy, addressed in previous blogs 97 98 , is that plant-based diets, because they don’t contain cow’s milk, will lack sufficient bone-building calcium for athletes and others. 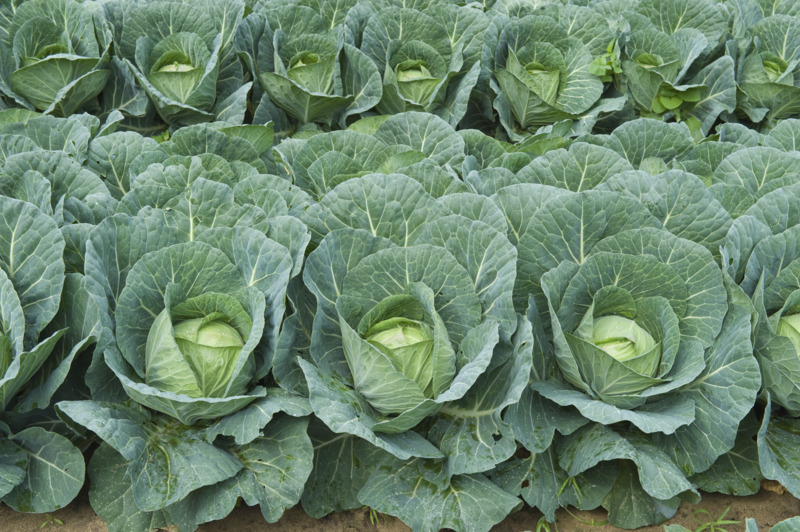 However, calcium is abundant in many plant foods, especially green leafy vegetables and legumes 99 . Vitamin B12, covered in previous blogs 103 104 105 , is another area where confusion reigns. Whilst, of course, B12 is absolutely vital for nerve function and blood cell formation, and must be supplemented when on a plant-based diet 59 , B12 deficiency/insufficiency is surprisingly common throughout whole populations, regardless of their dietary regime. Thus, it’s advisable for everyone, particularly as we age 106 , to take B12 supplementation. When we looked at obesity and plant-based diets above, it was pointed out that calorie-counting and portion-control were not needed in order to reduce body fat and, thereby, reduce body weight and avoid the risk of becoming obese. In relation to this, there was a BBC documentary 107 recently by Hugh Fearnley-Whittingstall at the end of which he drew the unfortunate (in my opinion) conclusion that, whilst calorie-counting was not the way to go, the best way to keep the weight down was to apply strict control to portion size. I tend to disagree with this approach. Just as it’s been shown that calorie-counting 108 and exercise alone 109 are ineffective means of maintaining a healthy body weight, I suspect that, in spite of some studies’ somewhat optimistic conclusions 110 , portion-control (or portion-sizing) is also a dietary method destined to fail in most cases 111 , albeit that it’s a whole lot better than doing nothing at all. When you eat a non-SOS WFPB diet, you never need to worry about how many calories you are eating nor about what size your plate is. The very nature of the food itself will be regulated by your body’s appetite and requirement for nutrients, whether or not you’re an Olympic athlete.